A Dales based gin producer are celebrating after sending off a second consignment of their award winning craft gin to Switzerland’s leading department stores. 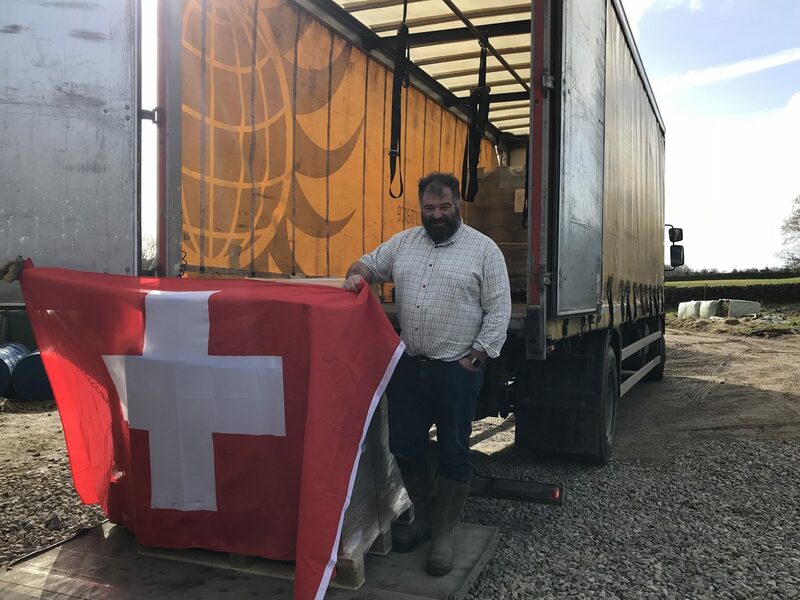 Whittaker’s Gin run by husband and wife team Toby and Jane Whittaker from their home at Harewell House Farm at Dacre Banks began exporting to the prestigious Swiss store Globus in 2017 and recently attended the stores first shop floor tasting session in Geneva. 2018 is already proving to be a successful year for the family run firm having recently returned from the American Distilling Institute Awards in XXXX where they picked up a host of accolades including Best International Gin and a Double Gold Medal for their Original Gin and Best of Category and a Silver Medal for their Navy Strength. The firm have recently announced plans to start making whisky at Harewell and are hoping to obtain planning permission for a second purpose made still house adjacent to the distillery which will also incorporate a small visitors center and shop. Whittakers gin is available online at www.whittakersgin.com, at independent retailers and Majestic Wines nationwide and in Fortnum and Mason.